At Secomea, we have spent the last months on restructuring our old website to improve the user experience for our visitors, making it more straightforward and easy to use. As a result, our old site has been divided into two new sites, a corporate site www.secomea.com and a support-portal support.secomea.com, accommodating visitors with more targeted information. Our websites are currently in English, but the plan is to add German and French versions to our corporate site in the near future. A variety of special features have been added to both sites to make our information more transparent. Eg. 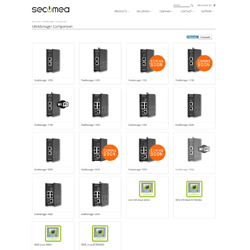 in www.secomea.com a products comparison tool has been added, making it easier for you to choose the right product to suit your needs. In support.secomea.com we have added a quick guide on how to setup your starter package and get started. In the following newsletters we will take you on a journey through our new websites. Giving you tips and tricks on how to improve your navigation and save time. So keep an eye out for our next newsletters and learn how to do things easier. At 1pm on 23rd Morten Stokholm, Area Sales Manager, Secomea, will be speaking about Security at the conference arranged by Maskinsikkerhed ApS (company for Machine Safety). On the 24th you will also be able to find us at the TechnoMania 2015, stand F0032. We look forward to inspiring you at the hi Technology and Industry Expo 2015 in Denmark! Warning: This may just be a tad technical at the beginning, but hang in there. 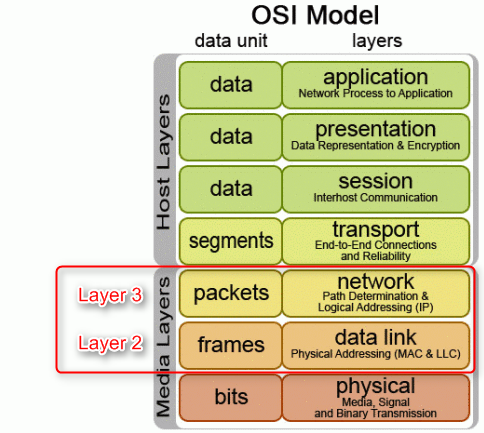 Traditional remote access via the Internet is based on the Open System Interconnection (OSI) model Layer 3, also called the ”Network layer”. Communication at this layer is based on IP addressing. This allows for logical TCP/UDP addressing and routing between virtually any type of network device having an IP address. Sometimes, however, it is needed to communicate independently of the IP addresses, for instance for assigning an IP address with DHCP to a network device. This is referred to as broadcasts or addressing of the physical address of a device, also called its MAC address. For industrial equipment broadcast communication is often used for first time discovery of a network device, but could also be an integral part of the communication concept. This is typically because the device was originally intended for being accessed in a closed network, and not over a routed network. Technologies exist for routing Layer 2 packages, but it is not used by default, as the broadcast principle means that all packages are forwarded to all devices. When a network gets large, this leads to congestion and decrease of network performance. The key for effectively allowing Layer 2 routing over the Internet is to determine what broadcast data needs to be forwarded or not. Secomea R&D has worked intensively for the past 12 months to solve this, and we are proud to reveal that Layer2 support will become a standard feature of the LinkManager and SiteManager this fall. This effectively means that the Secomea solution to an even higher degree will simulate access to PLCs, HMIs and other equipment exactly as if you were located in the same local network. We are constantly expanding the possibilities to match the individual needs of our customers within these categories. Virtual Private Servers (VPS) are becoming increasingly popular, and many companies are decentralizing internal IT to private servers hosted by professional hosting centers or cloud service providers. The benefit is that maintenance, backup and uptime is guaranteed by the VPS provider, while you retain full control and privacy. The bigger VPS providers, such as Amazon with their Amazon Web Services (AWS), allow you to freely select your preferred global region for your cloud server. 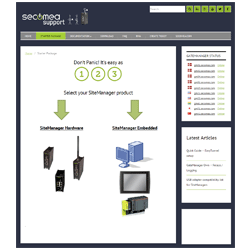 It is now possible in the list of available Amazon Machine Images (AMI) to select a Secomea GateManager 8250. This means, that with a few clicks, you can deploy a GateManager and select exactly the desired global availability zone for it. 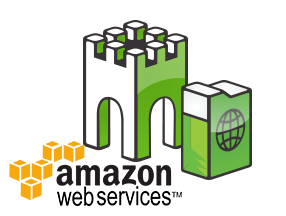 We now have several customers successfully running GateManagers in the Amazon AWS. More details on the GateManager 8250 can be found here. 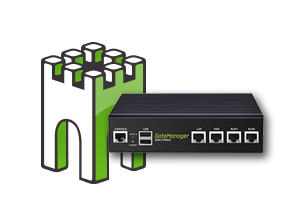 Furthermore, we recently released the GateManager 4260 hardware appliance that despite its small footprint and low power consumption, allows fast and effective support for thousands of machines and users. The GateManager 4260 performs automatic backup when inserting a standard USB memory stick, and when inserting a USB modem with SMS subscription, you can instantly benefit from the SMS advanced two factor security and SMS Alert features of the GateManager.add text to your template. Learn more about our fast and effective newcomer, the GateManager 4260 here.